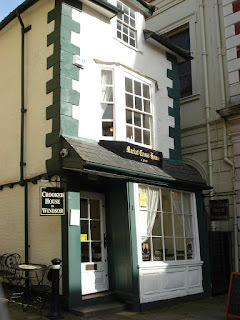 The Crooked House was a fun tearoom and so very "British". Linda, have you tried Sticky Toffee Pudding Cheese? You might find it at Trader Joe's. Thanks for the walk down Memory Lane. 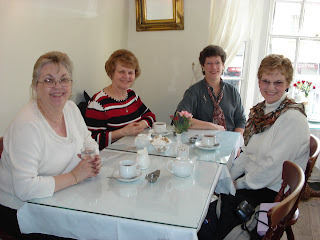 Our Tea in London trip was fabulous and it is great seeing some of the photos again. I think I will plan a day when I make myself a nice afternoon tea break and review all of the photos from the CDs that Steph compiled for us. 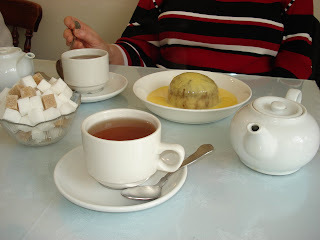 OMG did you have to feature Sticky Toffee Pudding and Custard, I miss both badly lol! 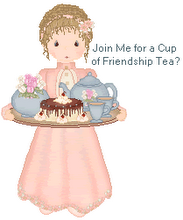 It is a cute tea shop, I worked in Windsor for 9 years and passed it daily. Even the Hubster has been in there! drooling for some sticky toffee pudding right now! Wish I had visited with you ladies! How I would love a serving of Sticky Toffee Pudding right now. That looks like a nice little tea room. My one and only trip to London was as a teen in '68. Someday I'd love to go back and visit my relatives in England and Scotland.